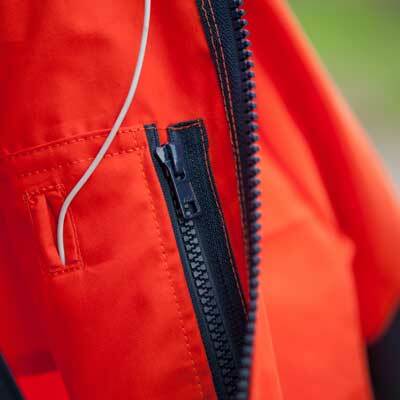 This is a fully featured Cotton Analogy® smock in a longer length design, ideal for extreme conditions. The back of the arms, elbows and the shoulder areas are reinforced for increased wear resistance when carrying heavy rucksacks and skis. Side vent zippers for ventilation adjustment and easy removal. The Liathach is an ideal smock for a range of cold weather uses, especially those involving intensive activity. As an alternative smock for extreme conditions, made in our Double Ventile® material, consider the Cuillin Double Ventile® Smock. This is just a lovely bit of kit; I'm pleased with everything about it. It fits well, is robust and weatherproof and you don't see many of them about. Looking forward to taking it up into the mountains in the new year. Thank you to Heather who made my smock and to Dave for all his help with my pre-sales questions!